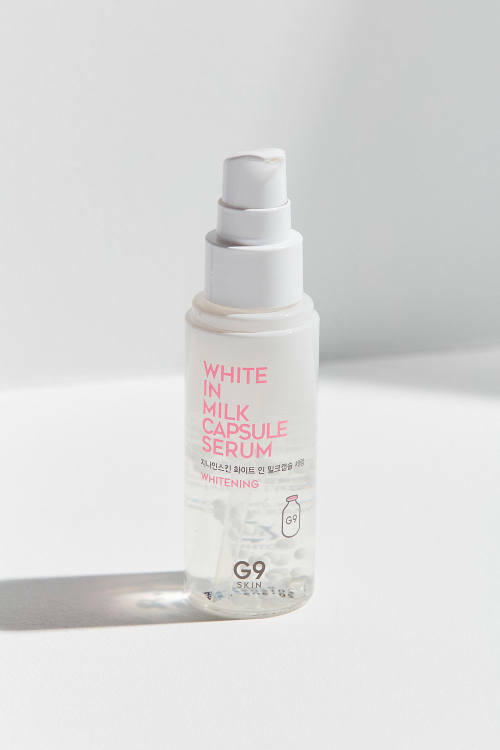 When looking for Korean skin care products, some consumers may wonder if G9SKIN is suitable for their daily beauty routine. Well every individual skin type is like a fingerprint and everyone is different, therefore different people may need slightly different skin care in different areas according to their skin type. G9Skin was founded by the Korean leading beauty and cosmetic manufacturer, Cosmelab., Co. Ltd. Fun Fact! Cosmelab is actually a combination of the word ‘Cosmetics’ and ‘Laboratory’. Brilliant isn’t it? Cosmelab., Co. Ltd having years of know-how, provides the best quality cosmetics, which has well known K-beauty brand “Berrisom” And retail brand “SKIN GARDEN”. G9SKIN launched in September 2016 as an anti-city pollution skincare K-beauty brand. G9SKIN helps to relieve skin burden in busy urban life therefore they have created 9 kind of complex for healthy and radiant skin. To better understand if G9SKIN products are worth your time and money, let’s take a closer look at the company’s philosophy and some of the formulation ingredients. G9SKIN product line was built around the idea of providing skin purifying solution for your exhausted skin due to busy urban life and various negative environmental elements. However, I believe that the company’s motto describes a working Singaporean women perfectly. GUARD 9 – G9SKIN studies and develops cosmetics to protect your skin from 9 harmful factors which caused from city life. GOOD 9 – 9 good ingredients, also known as G9 Complex that helps purify, protect your tired skin and keeps your skin clean and healthy. GUIDE 9 – After using G9SKIN products, you will have healthy and beautiful skin along with these optimized 9 effectives guides for your skin trouble. Before discussing specific G9 Skin ingredients, it’s important to note that the formulations can vary widely. Therefore, the discussion below should be viewed only as a sampling, and consumers who decide to purchase this manufacturer’s products are strongly advised to speak with their dermatologist about the specific items they are considering. G9 Skin products can be purchased via multiple distribution channels, including through the website www.g9skin.sg or other offline channels at department stores or cosmetics retail shop like BHG, Robinsons, Big box and Beaute Spring. Consumers who are worried about potential side effects may benefit from visiting the physical stores and trying some of the items beforehand or asking for samples. Although G9 skin utilizes many botanical ingredients in its products, the items are not necessarily safe for everyone. For example, some individuals may experience an allergic reaction to some of the plant extracts, including lavender, which is a known skin sensitizer. Additionally, some of the formulations rely on fragrance, which is a known skin irritant. Therefore, it’s a good idea to speak to a skin care expert and to read G9 Skin reviews from other consumers who have a similar skin type to yours, to further reduce chances of side effects. Consumers who purchase G9 Skin products on a regular basis should order online from the website www.g9skin.sg. G9 Skin Singapore has a membership reward program. Sign up for free and enter the coupon code given to you and enjoy 10% discount at the cart when you checkout.